German Precision Optics (GPO) announced the addition of the Passion 4X riflescope line recently. The new Passion 4X scopes are available in either 6-24x50mm or 3-12x56mm. The scopes are designed and engineered in Germany. As a result, each model brings quality value while delivering higher magnification and large low-light objective lenses, according to GPO. The Passion 3-12x56mm comes with or without illumination in the G4 reticle. The G4i fiber-optic illumination technology automatically powers down when the optic is stationary for three hours. Furthermore, the system alerts when power dips below 15-percent remaining battery life. The 6-24x50mm features a custom, MOA ballistic reticle and Kenton turret made for a specific load. The system excels at long-range shooting pursuits, according to GPO. Built on a 30mm, machined, aluminum tube, each scope is fitted with double HD glass, including the company’s proprietary GPOBrightTM lens-coating technology. Furthermore, a solid, one-piece, dust-proof, waterproof, nitrogen-filled scope body protects the internals. The scopes deliver consistent point of impact, while being strong and durable, according to GPO. Featuring a second focal-plane design, Passion reticles maintain consistent sizes throughout all magnifications. German Precision Optics features full lines of binoculars, rangefinders and riflescopes in 3X, 4X, 6X and 8X series. Each model is produced by GbmH, a German-based company, working in tandem with GPO-USA. Moreover, all GPO products include the company’s Lifetime Warranty. For more information, visit gpo-usa.com. 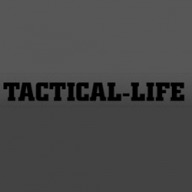 The post German Precision Optics Introduces 4X Premium Riflescope Line appeared first on Tactical Life Gun Magazine: Gun News and Gun Reviews.